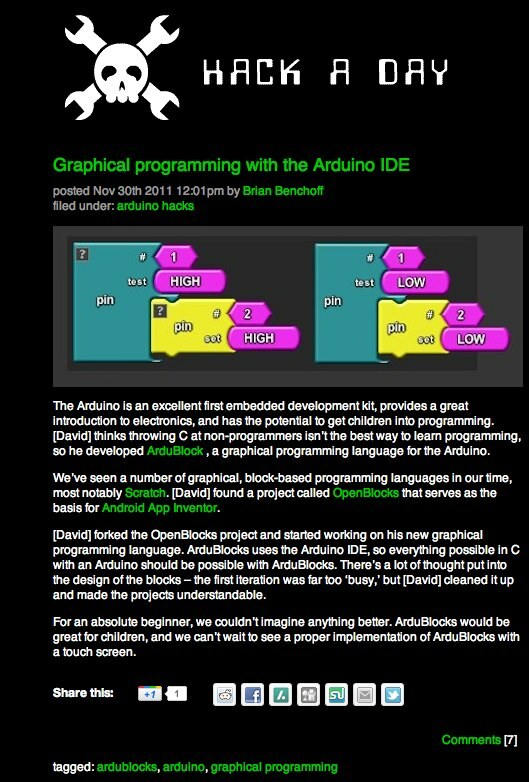 It’s pretty awesome to see ArduBlock mentioned on Hack a Day. Way to go! I just saw this on HaD and it makes me so happy to see something like this being developed! Learning embedded systems has come a long way in terms of ease of starting. Great job! David, Saw the mention on HaD. This is a great project! I was thinking to start teaching my kids to program with Scratch, but was not sure how long that would hold their interest. Now we will have something to branch out too!